Congratulations to "Lisa A. ", the winner in Kat's giveaway. Thank you to all who participated! I live in a rural area near Missoula Montana and am a snow chicken who spends winters at the beach in California--definitely the best of both worlds. I’m a workaholic. Writing is my passion, which works fairly well since my husband is also a writer. Traveling is my favorite thing to do when I’m not working. I started writing in 1985. my first book was published in 1988. I’ve averaged two books a year since then. I’ve lots track but almost 70 total. What inspired you to start writing novels for your chosen genre? I love action adventure movies. Plus I love romance. I seemed like a natural combination. What are some common misconceptions about writers? That they lead exciting lives. Actually at lot of us are workaholics. I love the challenge of coming up with a story concept, then fitting the pieces together. I love when readers really enjoy the book. Can you offer any advice to new or aspiring authors? My best advice is just don’t quit. Persistence is the key. Keep writing, keep learning, keep improving your work and don’t give up until you achieve your goals. I’m reading a Julie James book. Love her contemporaries. I’m also reading Kristan Hannah’s The Nightingale, a great novel. If you could travel back in time, what year would you visit and why? I’d probably go to London in the Victorian era. I would have to have some money, though. Being poor was really bad in those days. If you could be any character in any novel, who would it be and why? Who would you like to meet in person? That is impossibly hard. I used to say Boone Pickens. I still think he’s great. I recently met Jon Voight, a real thrill. Any of the Hollywood legends. Politicians are not high on my list at the moment. How do you come up with the titles for your novels? I’m really bad at titles so it’s just a matter of luck. Do you create characters based on real connections in your life? Not really, though certain people’s personalities give you ideas for characters. In FIRESTORM, there is a retired bounty hunter who is a friend of mine. He helped with the research and he also has a small part in the book under a fictitious name. If you were stranded on a faraway island, what one thing would you want to have with you, and why? How about a very capable, great looking, really cool guy? One lucky person leaving a comment or email entry will receive a copy of AGAINST THE TIDE – Paperback, Nook or Kindle, reader's choice. Giveaway ends 11:59pm EST Jan. 20th. Please supply your email in the post. You may use spaces or full text for security. (ex. jsmith at gmail dot com) If you do not wish to supply your email, or have trouble posting, please email maureen@justromanticsuspense.com with a subject title of JRS GIVEAWAY to be entered in the current giveaway. US residents only. This is definitely on my want list! This sounds like my kind of series! Great excerpt! I've been stalking this book for a while now. 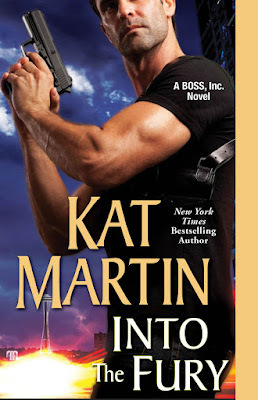 Enjoyed the interview - looking forward to reading Kat Martin's latest.